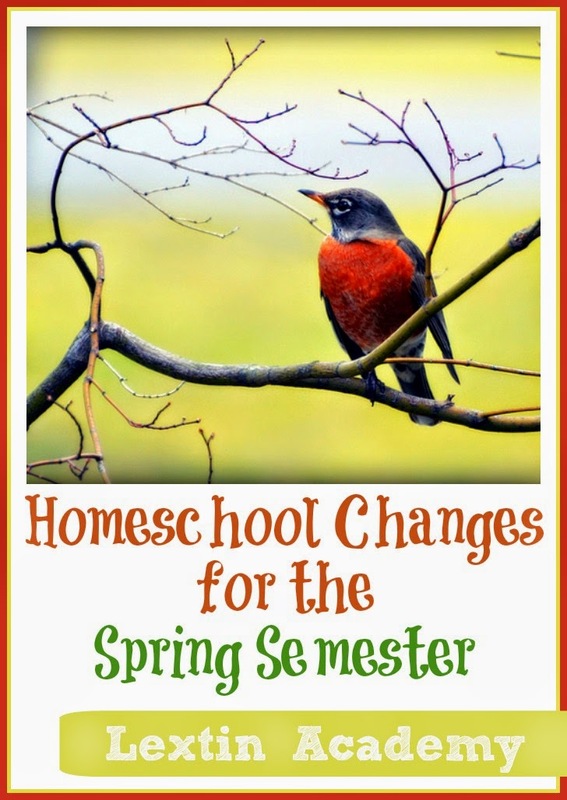 While we’ve had a good fall semester, I do have a few changes for spring. Tiger and Bee will both have finished their math curriculum before the spring semester. So, they will simply move on to the next level. Tiger will be in Right Start Math Level C and Bee will move into Level B. We will continue to work at their pace but so far they are both moving right along. Curly will probably finish Right Start Level D before the end of the year so we’ll spend the rest of the time working on Beast Academy 3B, 3C, and 3D. Because Curly has expressed interest in becoming an author we will focus more of our time working toward that goal. In addition to working through Writing with Ease Level 3, we will add Sentence Composing for Elementary School by the Killgallons. She is set to finish up First Language Lessons Level 3 before the end of the year so that will free up some time for this new program. Curly will begin an online science class through Landry Academy. She is taking Marine Science in the spring now that her literature class has ended. We are both excited about this new class. She will be working through the Apologia Swimming Creatures science book during this class. Now that Curly is no longer in an literature class, I want to add in literature that she can do with me. We are going to be testing the 3rd grade level of Lightning Literature from Hewitt Homeschool. They are currently writing this new level so we will get the new lessons monthly and try them. We dropped geography entirely so I was planning to order the Spectrum 3rd Grade geography workbook for Curly. This way she can get some daily geography practice and it will take very little time for her and very little planning for me. This will buy me some time to put together a better geography plan for next year. Tiger and Bee have both finished their Pentime 1 books. They will both start on Pentime 2 this spring. This level introduces cursive so they will get to start working on beautiful cursive handwriting. Curly, Tiger, and I are all going to watch Times Tales DVD to help us cement some multiplication facts. Curly’s fact recall is fairly slow so I’m hoping that the story format of the DVD will help her remember the facts. Tiger is my little mathy child so he’s going to learn the facts too as he continues moving forward in math. I plan to add some more art and music back into our days. I plan to continue working on piano with Curly and encouraging her to practice independently. If Tiger and Bee show an interest in practicing I will work with them as well. We will also try to do one art lesson per week (or more) with using Artistic Pursuits. While Curly does her online science class, I hope to focus more on science with Tiger and Bee. I plan to order Real Science for Kids Elementary Geology and do the program with them together. We will do fun but simple experiments and read the text together. I’m looking forward to some time with just the two of them. So, not many big changes for spring, mostly a continuation of what we are already doing. However, I am excited that there will be a few new things added to our line-up. I look forward to making little changes after each semester! I noticed you teach your kids piano yourself. Do you use some books to teach piano? If you do, what kind? Faber Piano Adventures. Very easy to use! They are colorful and fun and have good teaching in the books. It isn't hard to me to follow along and help.